At the time of writing this post, it has been about three months since I first purchased my Fujifilm X-T2 camera with a combination of the 10-24mm f/4 wide-angle lens, 35mm f/2 prime lens and 55-200mm zoom lens to use in place of my Canon setup. It’s a scary thing switching camera systems, however this was going to be on a trial basis to see what I thought and if the weight saving and swapping of systems would be a good move for the future in my business as I travel more and could the Fujifilm system handle the client work I would be using it for. It was an expensive test, however I was also looking at a 5D Mark IV to upgrade to from my Canon 6D at the time and purchasing a new Fuji system cost just slightly less than the price of the Canon body. In the work that I do, it’s primarily landscape and travel images that make up the core of my business, however there are also some clients I do studio photography work for and products. I’m not going to say much about the studio work, however the one thing I do want to say is that tethering with the Fuji system (and the additional plugin for Adobe Lightroom) is brilliant compared to what I had been using previously as any settings I need to change can be changed from the computer rather than having to touch the camera. It’s the camera I will be using all the time in the studio. Now to the landscape and travel side. I’d like to say that since I’ve been using Fuji, my Canon 6D has been used twice. That’s right, I’ve used my Canon setup just twice in three months! That’s with a lot of shoots in there too. I didn’t want to just jump straight over to using a new system I wasn’t 100% confident with and I needed to do client shoots so for those, I used the Canon system once in the first month and once in the third month for some INCREDIBLY low light shooting situations. Since then, it has been all Fuji. The first images I went to capture were around me, local landscapes and wildlife to get used to the camera, which is what I think the sensible thing to do was. The first image here is of a rainbow lorikeet feeding just after the sunrise. It takes a while to get used to the quirks of a camera, but the thing I really started enjoying was the ergonomics, feeling and minimised weight of the X-T2. 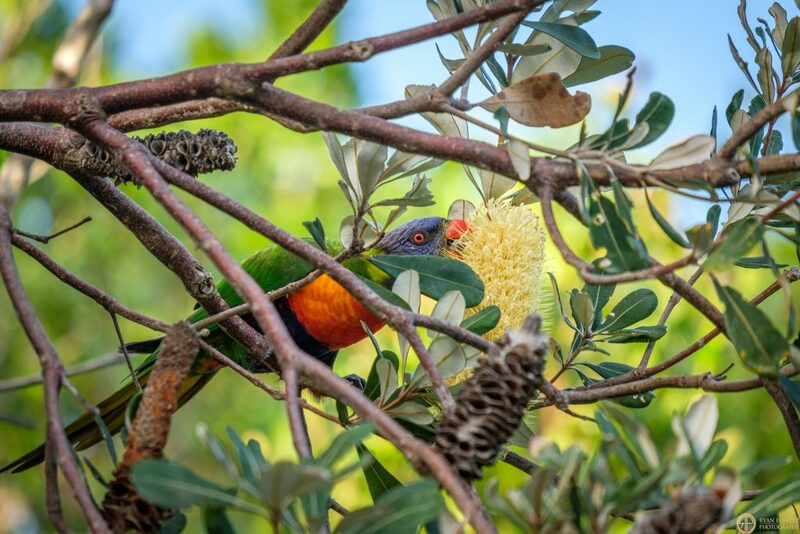 Rainbow Lorikeet Feeding. Fujifilm X-T2, 55-200mm lens. ISO400, f/5.6, 1/250ss. If you’re looking at making a switch as a professional photographer, I suggest not jumping straight into a brand new system and getting rid of your old one, keep both, learn the new system and then make the switch in steps as you feel more confident in your new system. 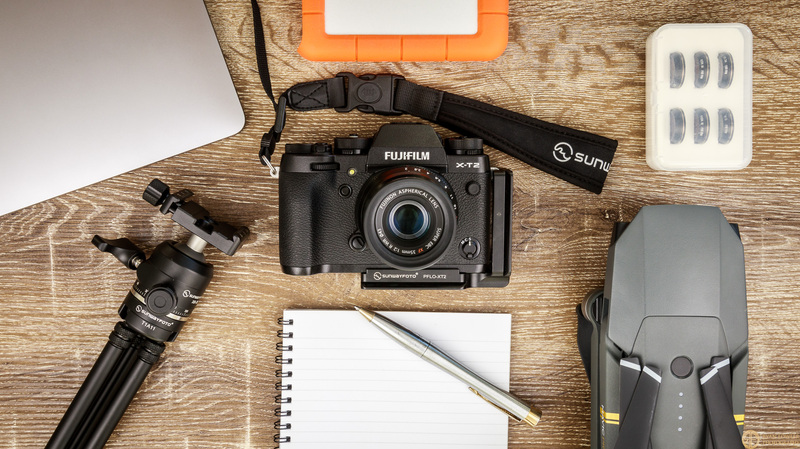 It was in March I bought my first Fuji and then early April, I bought a Fuji X-T20 as a companion camera I could use as my second body in my travels and professional work. So now I’m carrying two cameras, both with the same sensor, other features that were uniform in the system but they also had the same lenses. Anything you want to do for a client, I would highly suggest having a second camera because you never know what will happen and if the first one fails, you need to have a backup. With both camera bodies, three lenses and a relatively strong working knowledge of how to use them, I was off to the Fabulous Las Vegas! This trip wasn’t for a client, it was a personal trip which made for the perfect in-the-field testing ground for the new system and how it felt for me on that trip. I’m going to say now that I loved having a smaller system that helps to produce great results. Most of the trip was based in the main part of Vegas doing some more architectural shooting, although there was a day out in the desert of Arizona, visiting the Upper section of Antelope Canyon. Here are a few images from that portion of the trip. 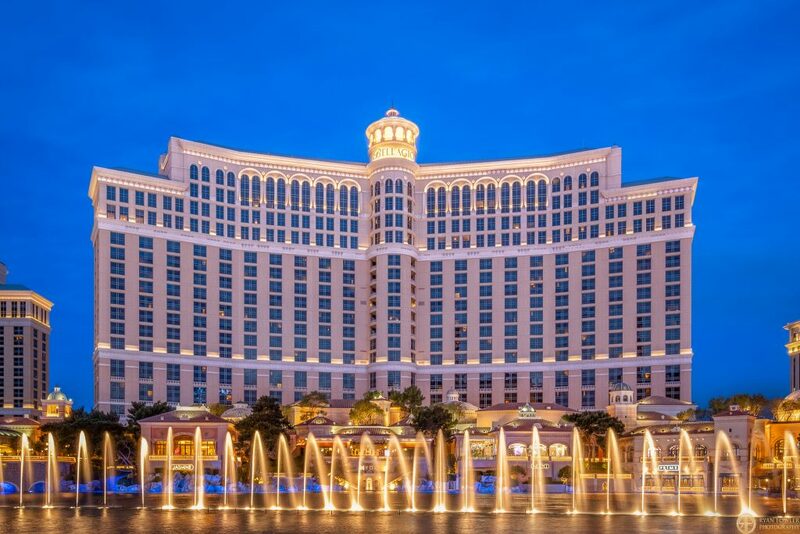 Bellagio Hotel and Casino at Blue Hour. ISO200, f/16, 10-seconds. 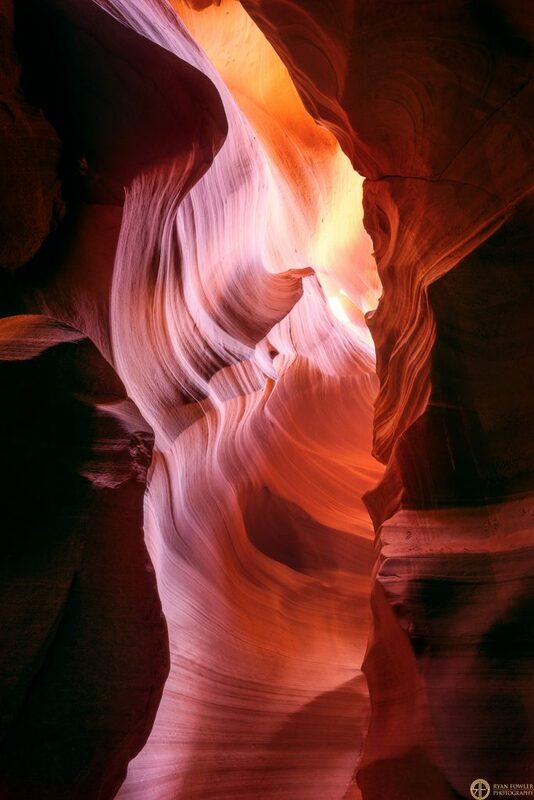 Upper Antelope Canyon. ISO200, f/11, 2-seconds. 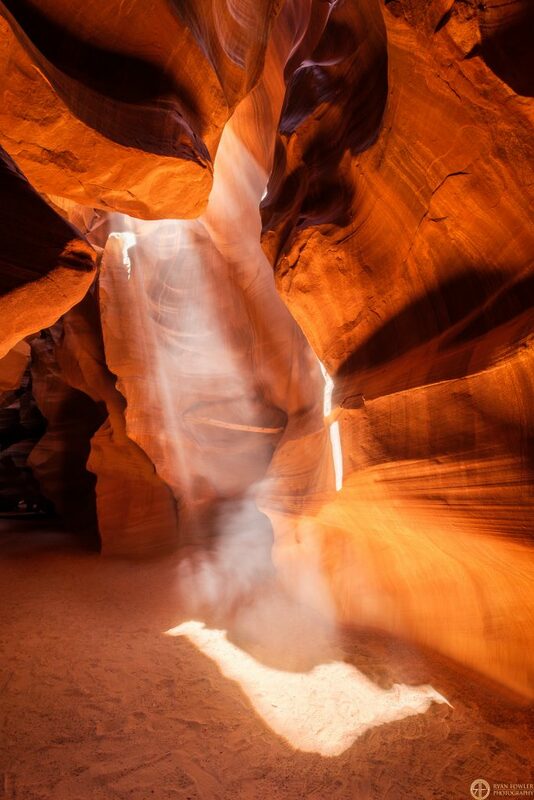 Upper Antelope Canyon Light Rays. ISO200, f/11, 0.6-seconds. Moving into May, there were a couple of trips I did. One planned and one spontaneous. 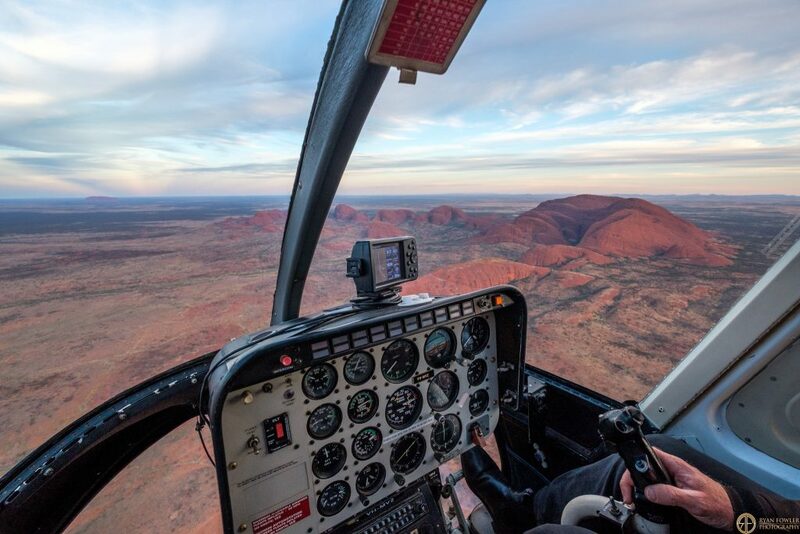 First was off to Uluru where I was so lucky to get some great colour in the clouds at sunrise one morning as well as taking a sunset trip in a helicopter; an experience I would highly recommend doing! The JetRanger helicopter had a small window in the front seat I was able to open whenever I wanted to take an image, meaning I didn’t have to shoot through a window and lose image clarity. Uluru from the Sunset Carpark. ISO200, f/14, 3-seconds. NiSi Polariser and Medium-Edge Graduated Filter. 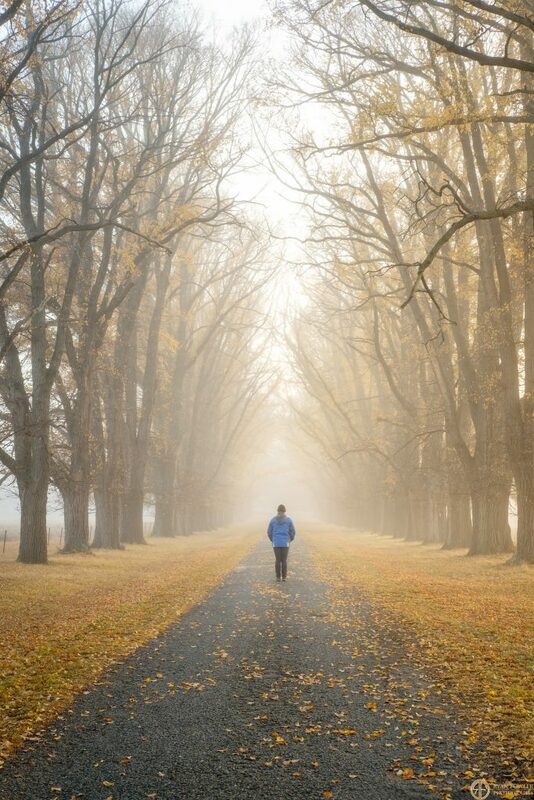 Focal length blending technique. Kata-Tjuta (The Olgas) aerial. ISO500, f/5.6, 1/200ss. 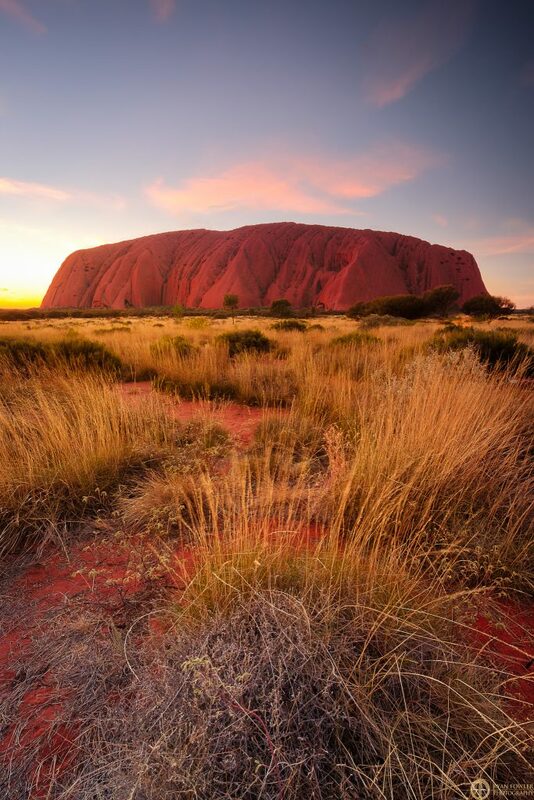 A few days after arriving back to Uluru, I saw that the Gostwyck Chapel had Autumnal colours on and around it so off I went in chase of some gorgeous light and great colours. On my first arrival at sunset, there was a gorgeous display of light and colour making for the perfect scene that afternoon. The next morning however was a different story. The amount of fog and mist that was around shrouded everything and made for a magical atmosphere, especially as the sun came up and gave it a beautiful golden hue. 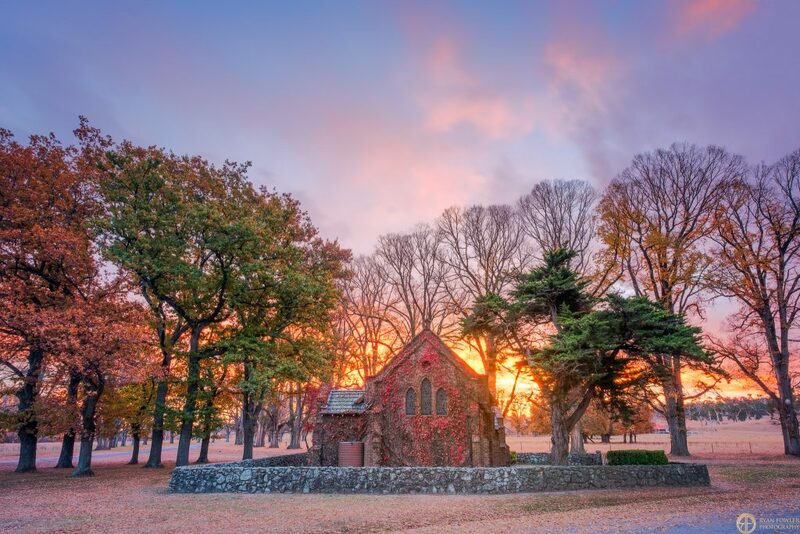 Gostwyck Chapel Sunset. ISO200, f/16, 1-second. Multiple exposures done. Gostwyck Chapel foggy sunrise. ISO200, f/14, 1/5ss. After these images were taken and several days later, it was then that I got a phone call to say that I have now become a reseller for NiSi Filters! These are the filters I use and they are amazing for any form of landscape photography as well as many other uses. A lot of these photos have had a filter used in them and they truly help the images and camera to bring out the best results, and I believe the results speak for themselves. Now for the last couple of images I’m going to share with you they were taken in Sydney during the 2018 Vivid Festival of Light, at the Wynyard train station and the last is close to home at Fingal Head during my June Astro Photography Live Workshop. 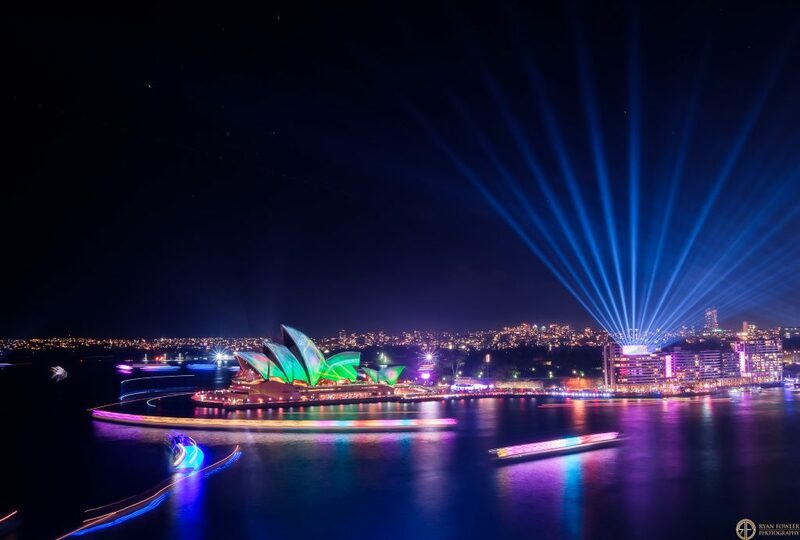 Vivid Sydney 2018. ISO800, f/16, 13-seconds. NiSi Natural Night Filter. 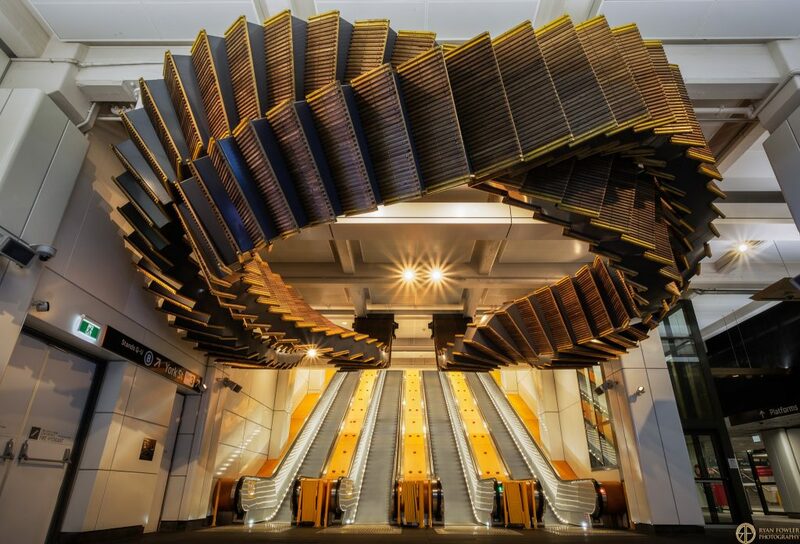 Wynyard Station, Sydney early morning. ISO200, f/16, 2.5-seconds. 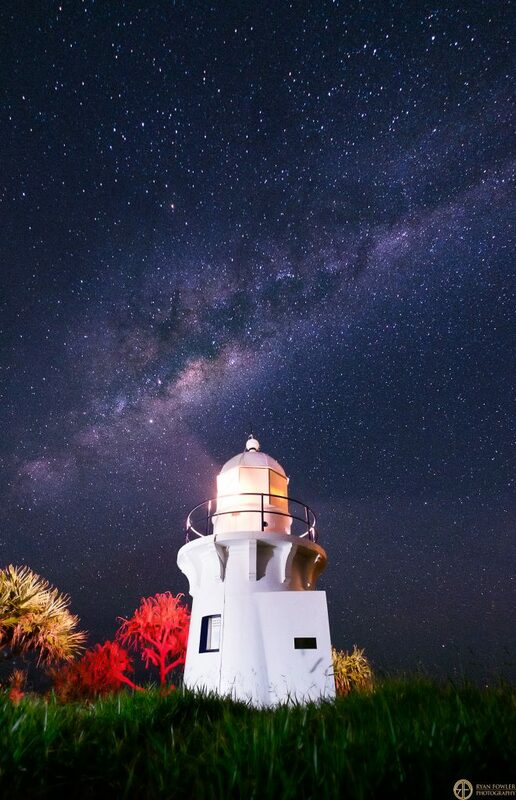 Fingal Head Lighthouse Milky Way. ISO5000, f/4, 30-seconds. NiSi Natural Night Filter. My final thoughts after 3 months. Wow! I’ve always used Canon for my camera choice but just going back and having a look at the images created, I know I might have been able to do this with another camera, but all the other benefits of size, weight, quality, software updates that make a difference to the camera (and add features!) have all come together to help me create better images as well as travel lighter to have the willingness to adventure more. In just three months, I am proud to have created imagery like this that I would feel comfortable putting into a portfolio, some of which I already have! I am also very much looking forward to what Fujifilm has to offer to the market as I know (and have tried) their medium format camera which is an absolutely incredible camera. Some of these links are affiliate links where I will earn a small commission. You don’t pay anything extra, but every little helps (as Tesco says haha). Hello, I’ve been looking into both the Lee and the Nisi filters for my fuji xt2. I have the fuji 10-24 as well as the kit lens. I know that the Lee seven5 will work with the fuji 10-24 but that it will vignette at the widest focal length but at 12mm its reported that the vignetting is gone. I’d prefer the Nisi glass filters over the resin and I believe that the Nisi filters are a little less expensive and possibly superior quality. Do you know if the Nisi 70mm will work with my system or should I be looking at the 100mm? I’d like to keep my kit as small as possible.